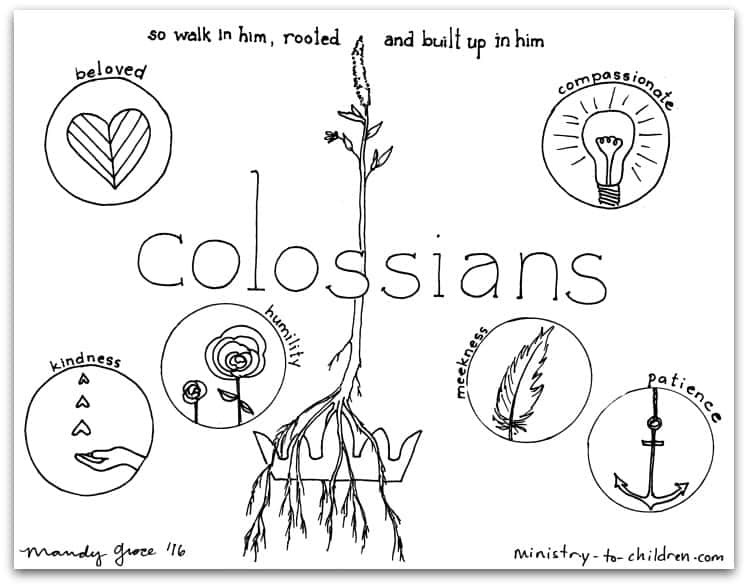 This free coloring page is based on the Book of Colossians. It’s one part of our series of illustrations for each individual book of the Bible. The illustration captures the theme from Colossians 2:6. So walk in him, rooted and built up in him.